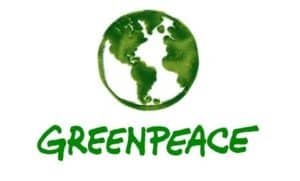 Short Description: Our mission: Greenpeace is a global, independent campaigning organization that uses peaceful protest and creative communication to expose global environmental problems and promote solutions that are essential to a green and peaceful future. That was more than 40 years ago, and in that time, Greenpeace has indeed changed the world. And we continue to make the world a better place. Our committed activists and supporters have come together to ban commercial whaling, convince the world’s leaders to stop nuclear testing, protect Antarctica, and so much more. The Nature Conservancy is tackling some of the toughest problems facing people and nature today, replicating good ideas to save many places and improve people’s lives. We are grounded by local experience and leverage our science, real-world solutions and partnerships to influence global decision-making. Science matters, especially at this critical turning point for nature. Our work is grounded in science. We’re supporting innovation, leadership, and communication for conservation success. Short Description: PlantForever plants trees. Seems simple right? However, what if we said PlantForever improves lives? Actually, PlantForever works to enhance over 7.6 billion lives, not considering the billions of other animals and species! From reduced quantities of harmful gases in our atmosphere; increase in oxygen; boost of biodiversity and sustainable ecosystems; declination of global temperatures; to having a more appealing backyard, plantation of trees elevates everyone’s lives! All for free, we negotiate with customers to plant trees. Together, we decide on the type of tree wanted and the date and timing of the plantation. Volunteers then go to the desired planting locations, often backyards and business locations, to plant these trees. Once arrived at the location, we clear any debris on the surface of the customer’s desired planting location. Then, we dig a hole and plant the tree inside before filling with soil and providing water. 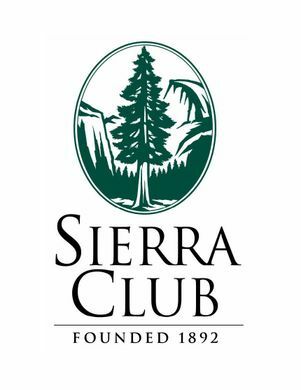 Short Description: The Sierra Club is the most enduring and influential grassroots environmental organization in the United States. We amplify the power of our 3.5+ million members and supporters to defend everyone’s right to a healthy world. Today, there’s a serious set of challenges ahead: a warming climate, unprecedented levels of pollution, and powerful special interests undermining basic protections. There’s no time to waste in coming together for new solutions – which is why the Sierra Club is bringing people together to build the most powerful and effective environmental movement the world has ever seen. We know actions speak louder than words. That’s why we’ve built a national community of volunteers, advocates, and grassroots activists who show up when and where it counts. Our supporters have the tools and resources to make themselves heard in nearly every district in every state across the country. From securing protection for 439 parks and monuments, to winning passage of the Clean Air and Endangered Species Acts, to putting over 274 coal plants on the path to replacement with clean energy, to securing the right of every kid in America to visit a national park, we have an unmatched record of success and impact. Short Description: The Venus Project is an organization that proposes a feasible plan of action for social change, one that works towards a peaceful and sustainable global civilization. It outlines an alternative to strive toward where human rights are no longer paper proclamations but a way of life. We propose a fresh, holistic approach – one that is dedicated to human and environmental concerns. It is an attainable vision of a bright and better future, one that is appropriate to the times in which we live, and both practical and feasible for a positive future for all the world’s people. We advocate an alternative vision unlike any social system that has gone before. Our conclusions are based on years of study and experimental research by many people from various scientific disciplines. We call for a straightforward approach to the redesign of a culture, in which the age-old inadequacies of war, poverty, hunger, debt, environmental degradation and unnecessary human suffering are viewed not only as avoidable, but totally unacceptable. The Venus Project is a veritable blueprint for the genesis of a new world civilization, one that is based on human concern and environmental reclamation. One fundamental premise is that we work towards having all of the Earth’s resources as the common heritage of all the world’s people. Anything less will simply result in a continuation of the same catalog of problems inherent in the present system. Experience tells us that human behavior can be directed, either toward constructive or destructive activity. This is what The Venus Project is all about – directing our technology and resources toward the positive, for the maximum benefit of people and planet, and seeking out new ways of thinking and living that emphasize and celebrate the vast potential of the human spirit. We have the tools at hand to design and build a future that is worthy of the human potential. The Venus Project presents a bold, new direction for humanity that entails nothing less than the total redesign of our culture. Our proposition is not an attempt to predict what will be done, only what could be done. The responsibility for our future is in our hands, and depends on the decisions that we make today. The greatest resource that is available today is our own ingenuity.